In September of 2016, Bettendorf businessman Doug Kratz approached BTS with the idea of developing a world-class sports complex and family entertainment center that could serve as an economic boon for the Quad Cities region. Without a viable site identified or accurate cost estimates in place, BTS set out, alongside Mr. Kratz and the City of Bettendorf, to explore the feasibility of the project. In less than nine months, under the leadership of BTS founder Kevin Koellner, President Paul Boffeli and Vice President Corey Higgins, BTS successfully procured a viable 120-acre site, entitled the property, co-managed the design-build process with architects Studio 483, and began earthwork on May 14, 2017. The project required the relocation of 470,000 cubic yards of dirt and 1.9 million square feet of artificial turf. The outdoor amenities include: four full-size soccer fields (two natural grass and two artificial field turf), six field turf baseball diamonds, more than 1,600 parking spots, four sand volleyball courts and a clubhouse for concessions and restrooms. Under the roof of the facility is 302,000 square feet with a full-size indoor soccer field, four indoor sand volleyball courts, 48 retractable basketball hoops, 64,000 square feet of hardwood basketball courts, 32 bowling lanes, a family fun center, two restaurants with commercial kitchens, a weight room and physical therapy clinic. 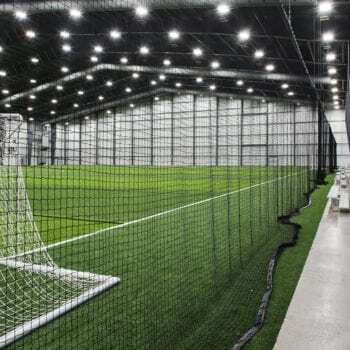 Indoor soccer fields with artificial field turf. 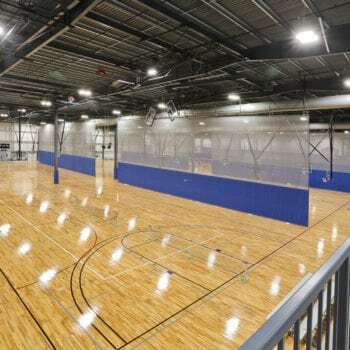 Gym equipped with hardwood basketball/volleyball courts and 48 retractable basketball hoops. 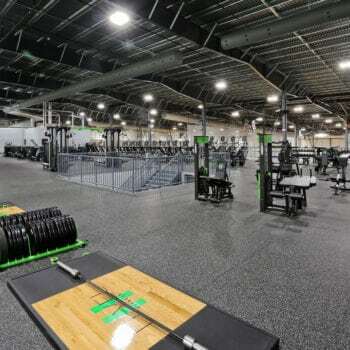 Weight room with a physical therapy clinic. 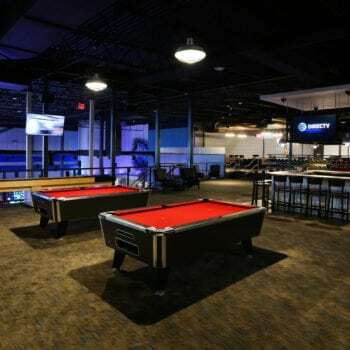 Family fun center with multiple pool tables, 32 bowling lanes and a fully functional restaurant with commercial kitchens.